Karen was here! And there was champagne! My bestie Karen was here for a leisurely two-week visit. She even stayed ON THE BOAT, which is a Lucky Nickel first. I think it worked out pretty well, despite the cramped quarters. 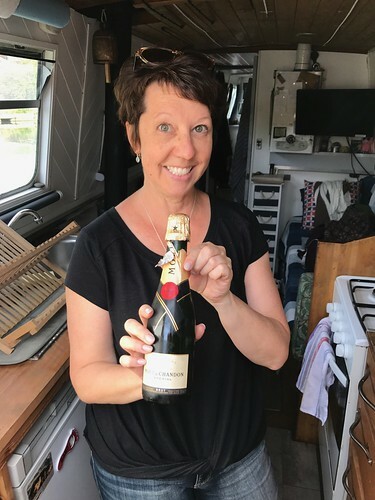 Though she claims to be somewhat high maintenance, Karen managed #boatlife quite well, with minimal fuss. 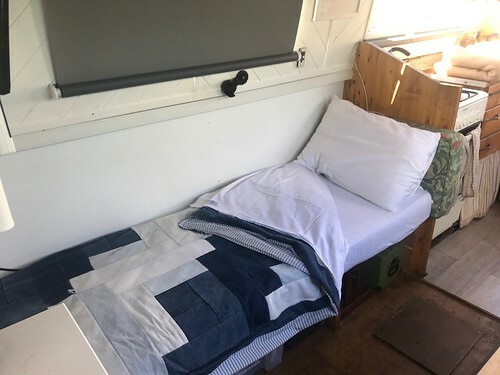 This is likely due to her long experience camping, meaning that she could understand if I got cranky about things like leaving the tap running while brushing teeth, or made her ask permission before using the hair dryer, or if occasionally when she was having a shower there was a brief gap in hot water delivery. (I'm sure Karen will add her comments below.) Though I hasten to add that simply based on luggage storage, let alone the challenging logistics of moving around this space with other people present, and the limited supply of water, one additional person is probably the practical limit for this particular tiny B&B. The couch apparently served acceptably well as a guest bed. And what did we get up to while Karen was here? Well, she had a few touristy London things on her list, many of which we managed to do in fine fashion. Which means we did not whip ourselves out of bed at the crack of dawn to hit three different world heritage sites before breakfast, then hop a train to Aberdeen for the day, then go to a West End show. Instead, each morning we had several cups of coffee and a pleasant breakfast on the back deck of the boat, set off at the crack of eleven, and generally limited ourselves to one site, two pubs, and half a kilo of cheese per day. A perfect pace. We hit Kew Gardens, and saw the Cabinet War Rooms, and even got an exclusive tour of the Foreign Office, thanks to a fellow Astute Go Stay Work Play Live Reader. 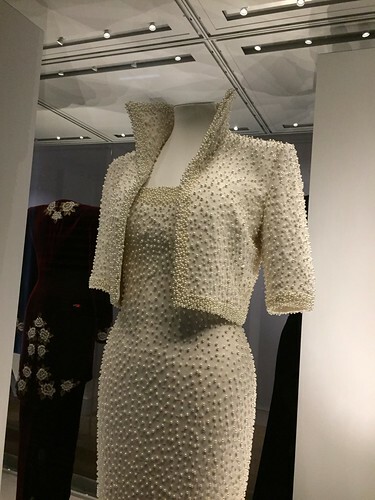 And we visited the V&A and Kensington Palace, where they're exhibiting a collection of Princess Diana's dresses. 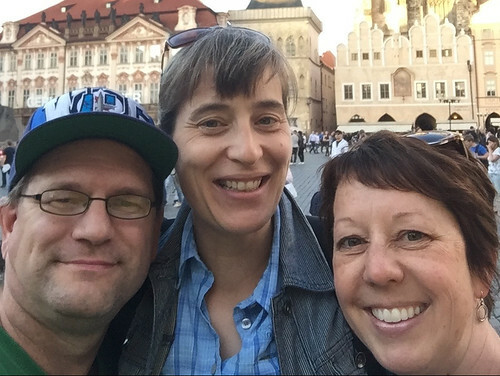 The highlight of the trip, though, was when we left London for a five day trip to Prague! We'd decided early on that part of Karen's visit should involve us both traveling somewhere together, and that somewhere should be a place neither of us had visited before. It turned out that Prague fitted the bill perfectly. It’s easy to get to, beautiful, and full of diverting sites and fun things to do and great food and cheap, excellent beer. 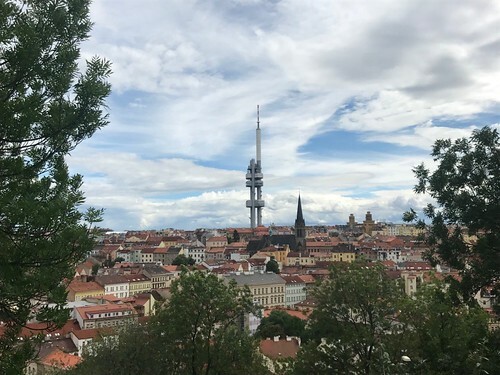 Here’s a view of Prague including it’s craziest building, the TV Tower. And you see those tiny specs that seems to be crawling up the tower? They are giant sculptures of faceless babies. 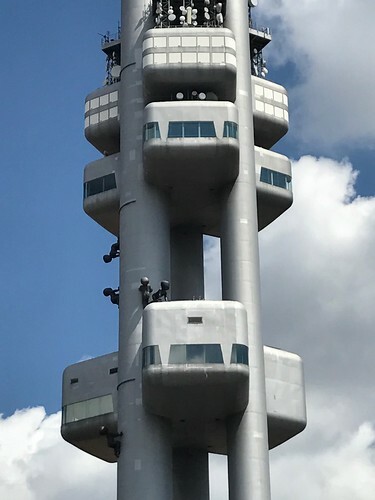 Crawling up the tower. Because: of course. Giant faceless babies crawling up a remarkably ugly tower. Prague rocks. Thursday night we managed to meet up with my friend Iain from London who moved to the Czech Republic a few years ago (and who's appeared in the blog before, in the bit about a very very long queue.) 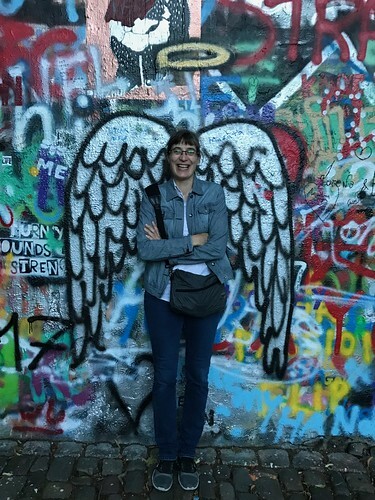 Iain gave us an impromptu walking tour that included one of Karen’s must-see sites in Prague, the Lennon Wall. 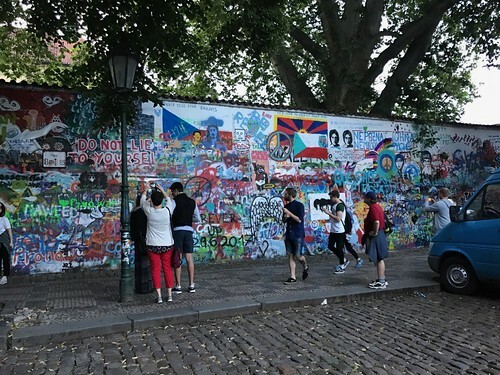 Not to be confused with V. I. Lenin, the wall is an ever-changing mural of graffiti that originally featured John Lennon-inspired images and pieces of lyrics from Beatles’ songs. Started in 1980, it became a place where young Czechs could write grievances about the government in a movement they termed “Lennonism”. It’s been completely painted over twice, but each time it’s soon covered again in images and messages of love and peace. Warren, me and Karen. 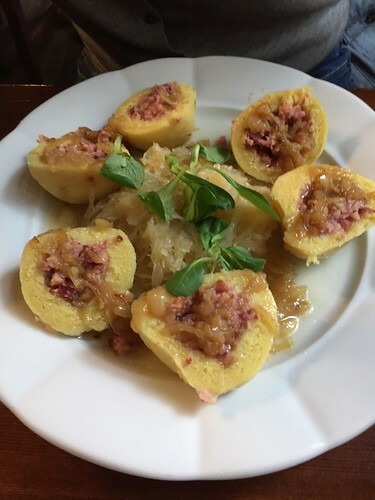 Another thing I’m not going to mention is that after dinner we walked around the old town a bit and Karen definitely did not buy a bowl of potatoes cooked with bacon and sauerkraut for dessert. And of course Warren and I didn’t have ice cream. 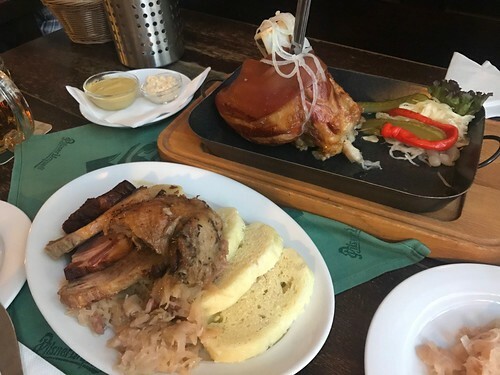 Just to be clear, we actually also did a lot of non-food related things in Prague, and I averaged 14km walking per day so I managed to return less spherical than you might think. For instance on Sunday we basically walked all day, taking in random sites (and pastries) and stopping on a whim to drink a beer on a quiet side street. That’s how we happened upon a truly odd site. This is one that had been on our radar when planning the trip, though we’d actually planned to not bother with this one until we realised it was literally a half a block away. 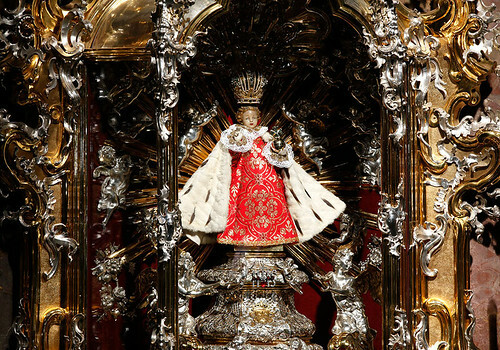 Here’s one of the eleven zillion photos online of the Infant Jesus of Prague. Or, as Karen and I like to call him: Sweet Baby Jesus of Prague. Or SBJOP for short. The really weird thing is this. The original statue is quite plain, depicting Baby Jesus wearing a plain white robe. But that’s not how he looks when you visit the church, because this particular 48cm high wax statue has a massive wardrobe of ornately embroidered robes and giant hats for every occasion. The nuns of the church regularly take the statue down and dress it in a different outfits, coloured according to the liturgical calendar. 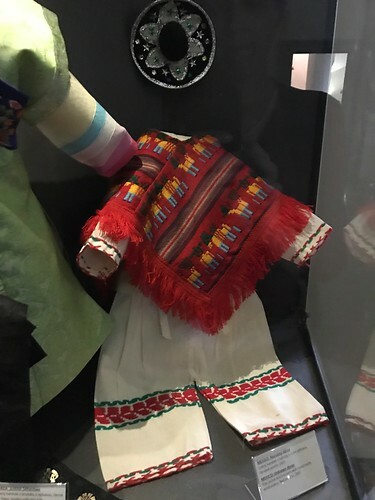 And devotees from around the world send new outfits for the Baby Jesus, some of which are displayed in a small museum inside the church. So let’s just go over this again shall we? There’s a small medieval-era statue that people pray to, that also gets dressed up like a Barbie doll in expensive ornate outfits that people send from all over the world. And here’s the best outfit EVER. Mexican Sweet Baby Jesus of Prague. Olé! It was upon discovering this particular outfit, when I called Karen over and pointed and said quietly, “There’s a sombrero” that we were both overcome by sheer absurdity of the situation and had to flee, lest the oncoming divine thunderbolt destroy innocent bystanders. 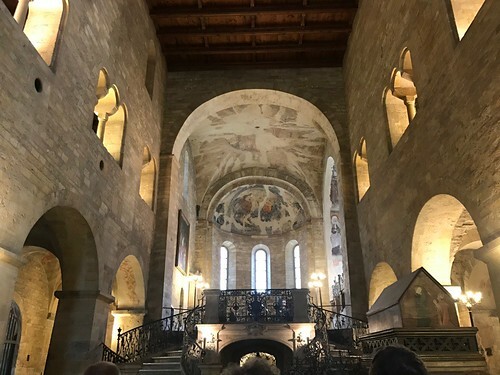 And this is only after we were approached by a friendly priest in the church who was clearly there to engage with the public and who, after finding out were were Canadian, inexplicably said something like, “America has 52 states. You have seven.” And don’t even get me started with the uncountable number of Sweet Baby Jesus of Prague souvenir statues that were available from shops in the area in sizes ranging from keychain to larger-than-life. Seriously organised religion - what’s the deal? Later that same Sunday we’d planned to do another walking tour that would take us up to Prague Castle, but in the event neither of us felt like such a structured walk, so we meandered up to the Castle on our own and ended up seeing a concert of chamber music in the Basilica of St. George rather than following a paid guide through the crowded castle’s main sites. Nevermind that the sightlines to the players were frankly appalling and many of the people in the audience seemed intent on videoing it all on their phones. What were you filming, people? You couldn’t even see the players! I think I once caught a glimpse of the cellists head, but Sweet Baby Jesus of Prague! * Maybe you could just put your phone down and listen? After the concert, as the sun was starting to go down, we walked back towards the apartment across the famous Charles Bridge. The bridge is always packed with tourists and touts, but I stopped at one particular guy who was cutting out silhouettes from small pieces of black paper. The guy was frankly astonishing, and hugely skilled. 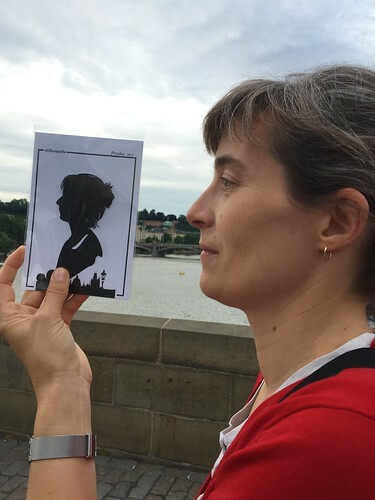 So, for just 200 Czech Crowns (about £6) I sat while the guy stared at my profile and, with just a small pair of scissors, cut my silhouette on the spot, in about three minutes. Also he was not hard on the eyes. And here’s my silhouette. Though I think he perhaps softened my chin a bit, and played up the eyelashes. I kind of think of it as Animé Pam. Still, pretty good. The hair in particular is impressive. There’s more to tell about Prague. More food and more sites and more wacky adventures, which I'll attempt to blog about some time before Christmas. But that Sunday, after all the walking and shopping and pastry and tiny sombreros there was not much to do but drag our tired feet back to the apartment, where we could rest and drink wine and catch up some more and laugh a lot. Because actually, that was the whole point. After quitting my job, selling my house, and spending a year traveling around the world, I now find myself living much of the time in London, England. And because I am officially an International Woman Of Mystery, often I do jobs overseas in exotic places like Indonesia and Azerbaijan and Russia. Oh, and in between, I live on a boat. No, really.